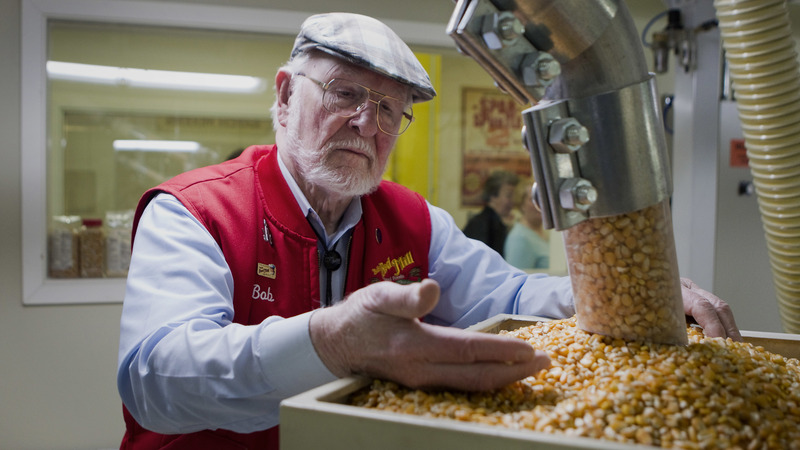 Bob Moore, the 90-year-old founder of Bob's Red Mill, was just a few years into the business of milling whole grains at a converted animal feed mill in a Portland, Ore., suburb when he got a visit from some gluten-free Seattlites who'd come down with a business proposition: Use his business contacts to help them buy bulk xantham gum, an ingredient used in gluten-free baking to help replicate gluten's elasticity. When an arsonist burned down the original mill in 1988, Moore realized the new facility he moved into, which was bigger and had separate rooms where gluten-free products could be fully separated from the glutinous, would finally allow him to do more for people like the women from GIG who'd talked to him so many years before. Options for people with celiac disease or non-celiac gluten sensitivity have been limited until recently. "If you want to imagine what eating dry, dusty soil is like — that's gluten-free bread in the 1990s," says Megan Orpwood Russel, a writer from San Francisco who has been on a gluten-free diet since the '90s and was officially diagnosed with celiac disease 12 years ago. She regularly carried a supply of rice crackers and peanut butter as an emergency snack, because so few people understood what foods contained gluten. Most gluten-free products that existed then "tasted like garbage or nothing," Orpwood Russel says. It wasn't a market most companies were trying to get into. Moore, who became aware of an unmet need for gluten-free earlier than many companies, seems impressed by the tenacity of advocates like GIG who have helped create today's large market for gluten-free foods. Unlike a company that creates a new product, then advertises it to customers to convince them to buy it, gluten-free foods started almost as a grassroots campaign.